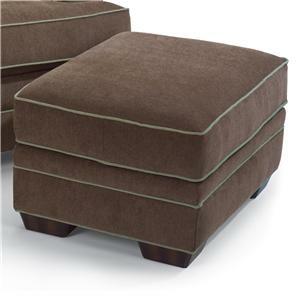 The Violet Transitional Ottoman by Flexsteel at Fashion Furniture in the Fresno, Madera area. Product availability may vary. Contact us for the most current availability on this product. 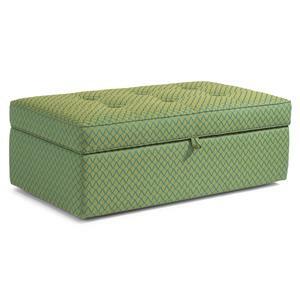 Padding & Ergonomics The reversible plush cushion enhances support by featuring a 2.5 lb. density, low compression range, high-resiliency polyurethane foam core wrapped with a 1.2 lb. density recovery foam and a 1 oz. soft fiber wrap. Extra-firm, high-resiliency cushioning available upon request. 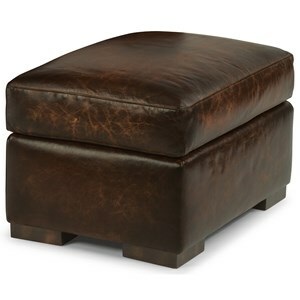 Each piece in this transitional collection provides optimal comfort and features a unique style. 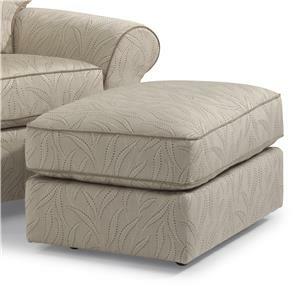 The prominent tapered feet and slim sloped arms of the pieces are juxtaposed with the comfy plush cushioning. 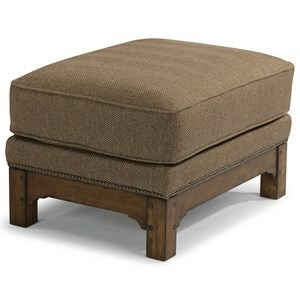 This creates a transitional flair that feels like home in any living room. 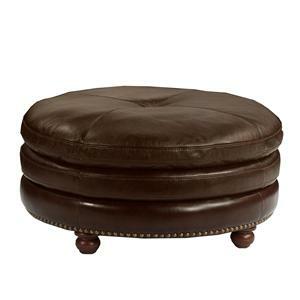 Complement other furnishings in your home and lounge around in comfort with this impressive collection. 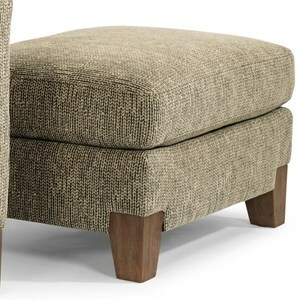 The Violet collection is a great option if you are looking for furniture in the Fresno, Madera area. 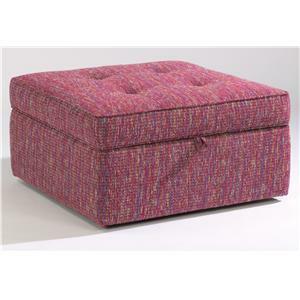 Browse other items in the Violet collection from Fashion Furniture in the Fresno, Madera area.